The Livestock Veterinary Service operates commercial ambulatory and herd consultancy services. Activities range from routine procedures such as pregnancy testing through to more complex project planning, clinical trials and disease investigation. A philosophy of the Livestock Veterinary Teaching and Research Unit is to promote application of science and technology to problem solving on the farm. Ambulatory Livestock Veterinary Service Operates: 8 am to 5 pm Monday through Friday. Emergency: 7 days a week. The Livestock Veterinary Service regularly attends to sick livestock on local farms. It is important when calling for veterinary assistance that animals are yarded. It is difficult to provide veterinary attention if the animal cannot be caught and safely restrained. Sheep, goats, and calves which can be transported to the livestock unit can be attended to by our team of veterinarians in our hospital facilities. Animals can be hospitalised when emergency and intensive care is required. The Livestock Veterinary Service provides regular herd health services for farms across NSW. Farm visits are scheduled every 2 to 4 weeks according to need. Herd health services are directed at managing herd reproduction, heifer replacements, mastitis, lameness and nutrition. Records analysis is utilised to monitor herd outcomes providing feedback to managers regarding areas that are achieving or failing to achieve targets. 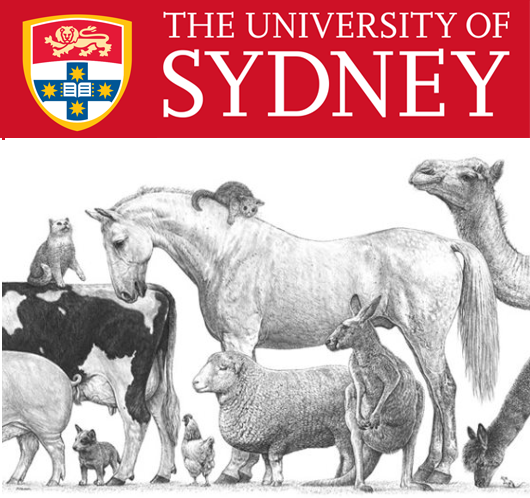 The Livestock Veterinary Teaching and Research Unit is dedicated to serving the livestock industries of Australia through the provision of veterinary services and training and by advancing knowledge through problem orientated research into issues pertaining to animal production health and welfare. The Livestock Veterinary Service provides veterinary students with an opportunity to get hands on experience working with livestock and post graduate veterinarians with an interest in livestock an opportunity to pursue specialty training.